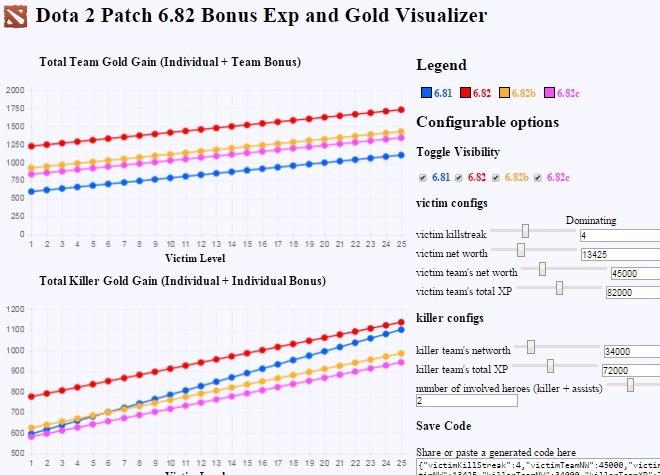 6.82 Visualizer is a gold and experience data visualizer (grapher) for the game Dota 2. There was a controversial update to the game where the game would give the losing team drastic advantages so that they would be able to catch up to the leader. The changes are difficult to imagine due to the amount of variables so this program was created to show the data on how much the game had changed. 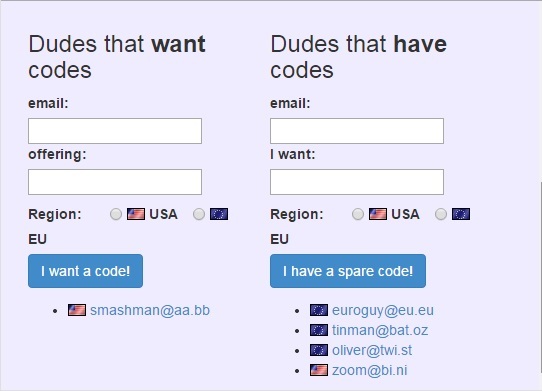 Share Codes is a site for people to trade beta/alpha/early access codes. The premise is simple, people with codes post their email and people who want codes post their emails. Match made in heaven! Quiz With Me is a community generated trivia site. 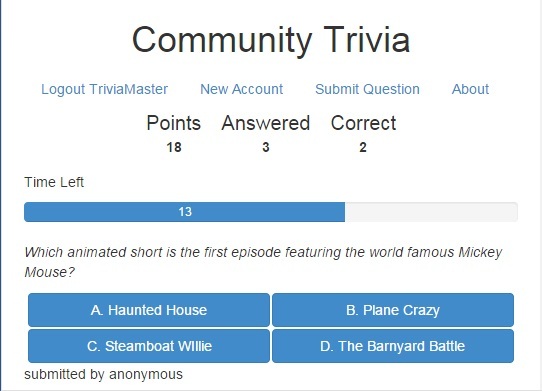 Each user competes against the people around the world to test themselves with the trivia questions that they submit. Quiz With Me brings the joy of answering and creating trivia questions vs the entire world! Confess.me is an anonymous real-time secret posting website. 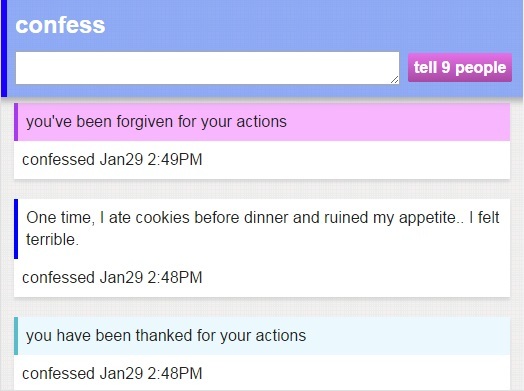 Other supportive members can send comforting messages of support to the anonymous secret sharer. The secret sharer can thank these anonymous eyes and ears for their support in turn. All of this is done in real time letting users have an outlet for those things that they hide to themselves. 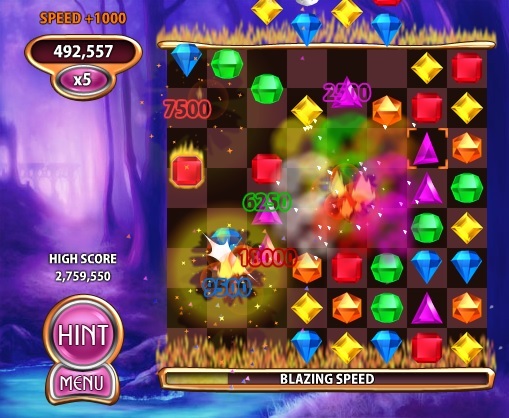 Bejeweled Bot is a bot that automatically plays Bejeweled Blitz as fast as possible. Once executed, the bot will orient itself with the origin of the game board, determine the current gems on the grid, parse the possible matches, then move the appropriate gems in the game to create matches. I forked the repository from kklemm91 and improved on code organization, naming, and execution efficiency. Text Twist Bot is a bot made to play the anagram solving game Text Twist. Once ran, the bot will auto detect the location of the window, parse the current letters on the board, and automatically input all anagrams that can be found from those six letters. Of course solving anagrams is not new in the field of programming but whatever, revel in its glory!